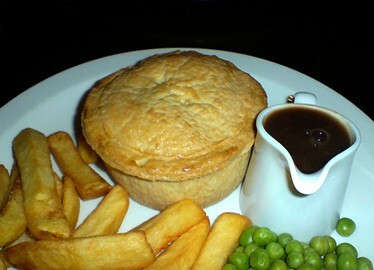 It’s National Pie Day 2012 today (23rd January), celebrating the heritage of pies. The history of pies starts in ancient Egypt. The Egyptians would bake fruits, nuts and honey into a form of pastry, those first pie incarnations were not necessarily much like the pies we know today. It was then the ancient Greeks who should be attributed with the invention of the pie; they would bake various fillings both sweet and savoury into a pastry casing. The Romans saw the potential of the pie and adopted it into their diet, bringing it with them in their conquest of Europe, so it’s the Romans who truly brought the pie to Britain when they landed on our shores. In medieval Britain the pie was often the centre piece of the meal, filled with exotic fillings such as swans, peacocks and blackbirds (which you may remember from the nursery rhyme). From the finest London restaurants to the wind swept terraces of football grounds, the pie has since become a stoic dish on the British menu, engraved into our popular culture. The chant “who ate all the pies? !” for example was first sung by Sheffield supporters in 1894 and directed at their clubs goalkeeper at the time William “Fatty” Foulke, an enormous man in stature. Still lovingly associated with home cooked tradition and British pubs, the pie is here to stay. Get down your local and demand a pie today! If you’ve any comments feel free to leave them in our comments section below or join the conversation on our Facebook page. Cheers!